International Desk: An arrest warrant for the Wikileaks founder Julian Assange has been upheld by Westminster Magistrates' Court. 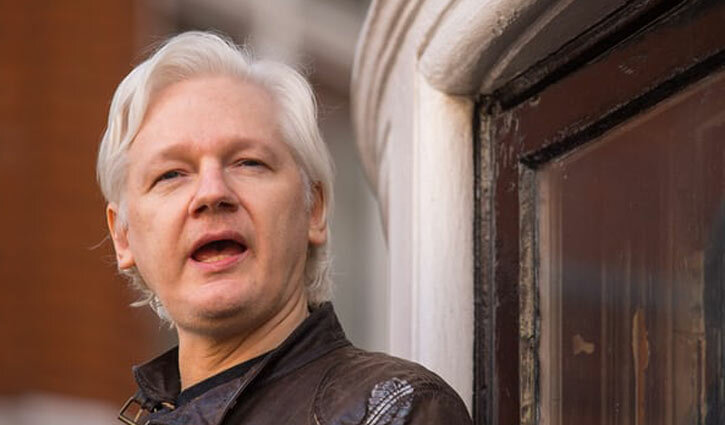 The warrant was issued when Mr Assange, 46, breached bail conditions in 2012 by seeking political refuge at the Ecuadorean embassy. He was facing sexual assault allegations in Sweden. The allegations were dropped in May 2017. Mr Assange has been staying at the embassy since 2012, claiming he fears extradition to the US. Judge Arbuthnot described Mr Assange as "a man who wants to impose his own terms on the course of justice, whether the course of justice is in this jurisdiction or Sweden. "He appears to consider himself above the normal rules of law and wants justice only if it goes in his favour." She added that she did not find Mr Assange's fear that Swedish authorities would extradite him to the US "reasonable". He fears that he may be charged by US authorities for publishing classified documents on his Wikileaks website. Mr Assange's lawyers said his arrest for failing to answer bail was no longer in the public interest but the judge rejected that argument. "Defendants on bail up and down the country, and requested persons facing extradition, come to court to face the consequences of their own choices," she said. "He should have the courage to do the same," she added. A small group of supporters stood quietly outside the court after the ruling, holding banners reading "Free Assange" and "Assange Safe Passage".